Last week I spent the week in Scotland. We stayed on the South side of Loch Ness, or the quiet side as some people call it. We stayed in a lodge/log cabin in a tiny village called Whitebridge. The lodge was spacious and decorated beautifully. We had a log burner and hot tub. The location was really remote and there was no mobile signal! Our lodge had a view of a mountain called Bienn Sgurrach. 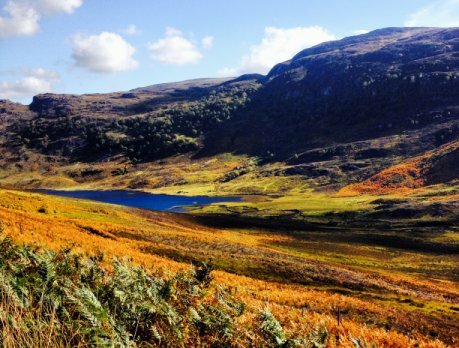 When we arrived at the lodge the staff provided us with walks around the area and a route for hiking up Bienn Sgurrach. We arrived on a Friday afternoon and went for tea at The Whitebridge Hotel which was a 5 minute walk from the lodge. The food there was delicious and just what we needed after a long car journey. I had the special of Chicken Curry and Rice whilst my Husband ordered Chilli Con Carne from the menu. On the Saturday morning we went to Aviemore parkrun which I blogged about HERE. On the Sunday we went for a drive over to Ballater which is a small village in Royal Deeside. We’ve visited Ballater many times before but wanted to see how the village is doing after struggles with severe flooding and fires. I took this photo of a snowy banked River Dee. The following day we returned to Aviemore with the sole purpose of visiting Roo’s Leap restaurant. The restaurant has a somewhat Australian theme and the food is always scrummy. It’s in Aviemore train station so if you choose correctly, you can have a table overlooking the platform there and if you’re lucky, the steam train will pass through. From there we went to Loch Morlich which is just outside Aviemore. It is so pretty there. I’ve been at various times of the year and it never fails to amaze me. I’ve track of what days we did what now so I’ll just tell you where else we went. We visited Inverness centre. I have to say I’m a sucker for a gift shop and I think we went in every single gift shop in Inverness and along the side of Loch Ness! Whilst in Inverness we went for a walk alongside the River Ness near Bught Park. We also hiked up Bienn Sgurrach. We followed the map the lodge owners had given us. We climbed up a steep path, in to a field and continued upwards. It was very muddy in places and also waterlogged in places too. We had to go through a field of sheep who didn’t seem too impressed with us! We’d read the views from the top were magnificent but to be honest there wasn’t much to see! So we had a drink and came back down a bit disappointed. We also walked to Fort Augustus, which is a small village at the end of Loch Ness. As we were quite high we got some good views over Loch Ness. On our last day we discovered a great little tea rooms close to the lodge. So annoyed we discovered it on the last day as I’d have loved to have gone back to try some other offerings from their menu. All the food was home made and absolutely delicious. The staff were also really friendly and were keen to hear about where we’d been so far and where we planned on going next time we stop in September. After leaving we saw a deer sat down. I wanted to snap a picture but thought I’d spook it as I got closer. Turns out it wasn’t spooked at all and just sat chilling out, until she walked right by us I hardly dared breathe! I absolutely loved Scotland. It really does hold a special place in my heart. I’m really looking forward to going back in September and having another crack of the whip at the River Ness 10K. If you want to read about my disastrous trip there last time, then be sure to read this blog post. Scotland has so much to offer. There are beautiful landscapes a plenty, great places to shop and plenty of opportunities for adventure. I’ve holidayed in Scotland many times now and I’ve done the common tourist sites and have started looking for more. Where are the places that aren’t always talked about? The following places were all accessed from Inverness where we stayed in a beautiful lodge situated just outside the capital of the Highlands. Where possible I’ve linked each place to it’s Wiki article for you to find out more. All of the links open in a new tab/window. Smoo Cave – Is located in the village of Durness on the A838 road. 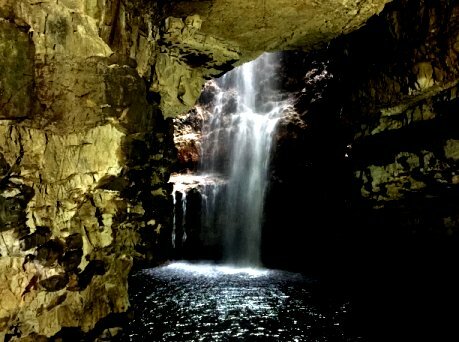 Smoo Cave is a large sea and fresh water cave made of multiple chambers. Within is a beautiful water fall that drops in to the cave through a sink hole. There are steps leading you down to the cave so some physical fitness is needed. There are also toilets, something handy to know when exploring the Highlands! 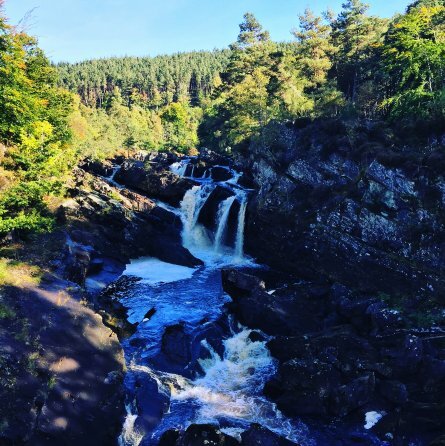 The Falls of Foyers – The Falls of Foyers has two waterfalls located just off the B852. It’s a short descend down from the road through a lovely woodland walk. The Falls of Foyers are from the River Foyers which feeds in to Loch Ness. Mallaig – Mallaig is a port town on the West Coast of the Highlands. There are two options to get there, drive or go on the train. 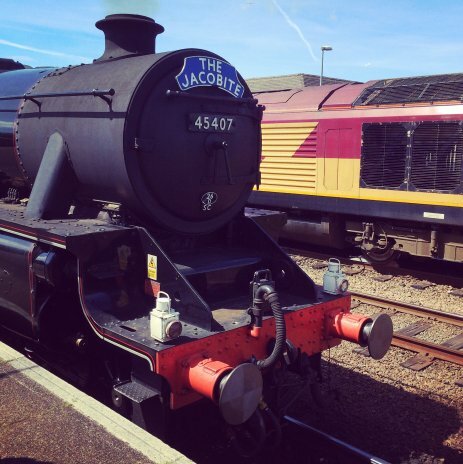 You can catch the regular train but for a treat why not pay to travel on the The Jacobite steam train aka The Hogwarts Express. This can be caught from Fort William and will take you to Malaig where you’re free to explore for an hour or two and then back again. 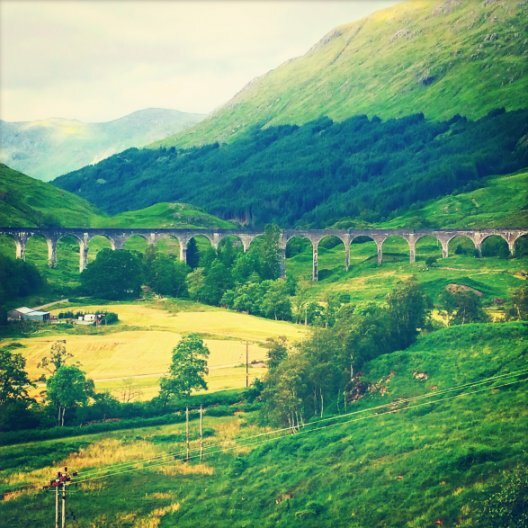 You travel over the famous Glenfinnan Viaduct where Ron and Harry fly the Ford Anglia. Mallaig is home to many beautiful seafood restaurants. Mallaig – If you prefer to drive to Mallaig be sure to stop off at the Glenfinnan visitors centre situated on the A830 road. If you’re feeling fit there’s a climb from the car park up to a viewing point where there are stunning views of the Glenfinnan Viaduct. Using the viewing point gives you a closer view of going up the Glenfinnan monument. You can also visit Loch Shiel here which is known as Hogwarts Black Lake. 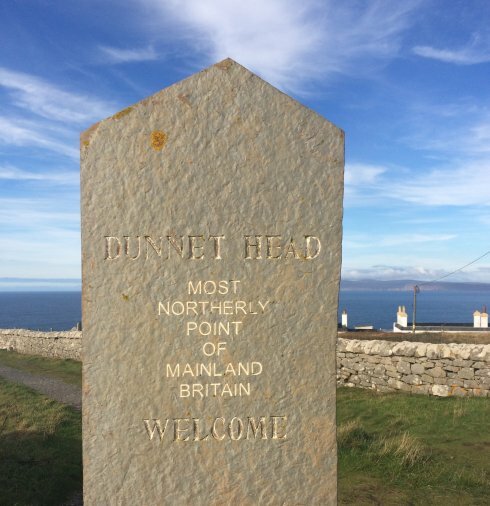 Dunnet Head – Most people believe John O’ Groats to be the most Northerly point of Great Britain but actually it’s Dunnet Head! There’s a lighthouse and some old buildings from World War 2 to look at and if you go at the right time of year there are Puffins nesting. For another place to visit try Duncansby Head which is the furthest place by road from Land’s End in Cornwall and is easy to visit after John O’ Groats and Dunnet Head. Loch Morlich – Loch Morlich is a freshwater loch near Aviemore. It is so pretty and picturesque. In the day it is a hot bed for water sports but go on a late Autumn evening and you’ll get some beautiful pictures of the sun setting and reflecting on the water. 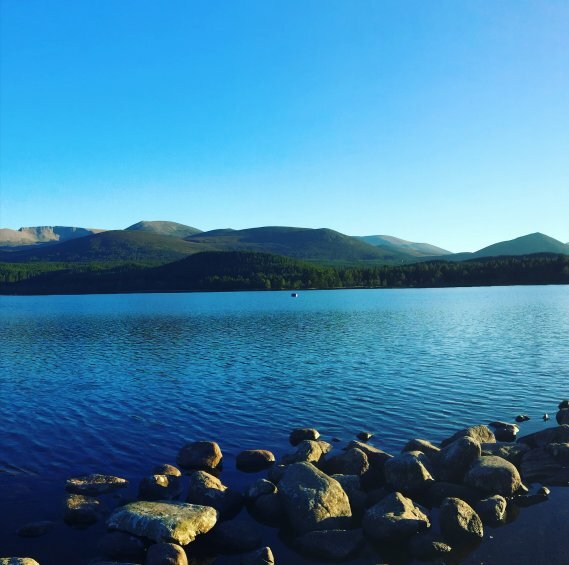 Loch Morlich, unusually for a Loch, has an award winning beach! 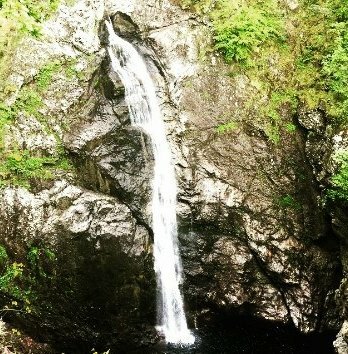 Rogie Falls – Rogie Falls are a series of water falls near Contin on the A835 road. There’s a car park that allows you to park up and explore these water falls easily. The views are simply stunning. That’s all for my Scottish travel guide. 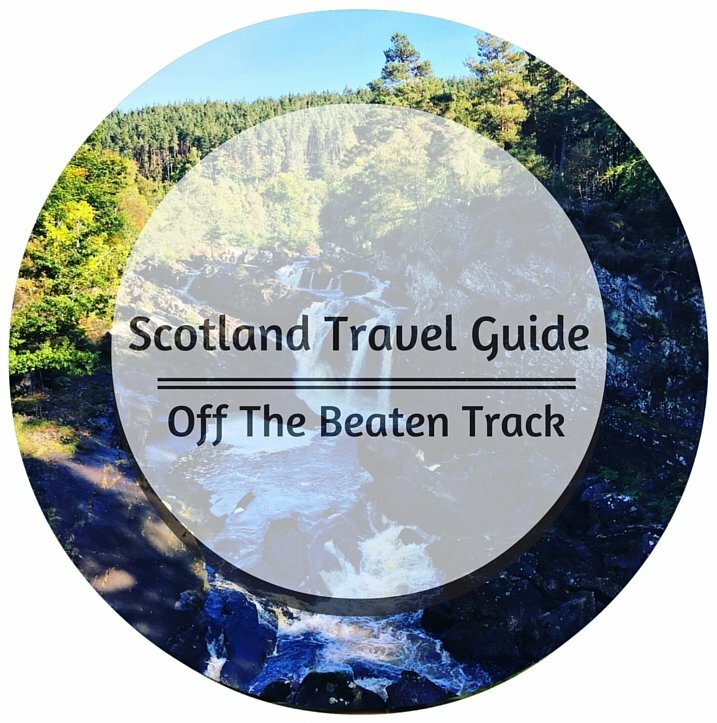 I hope you’ve found it useful if you plan on visiting Scotland or if you just wanted to read about Scotland and some of the places it has to offer.